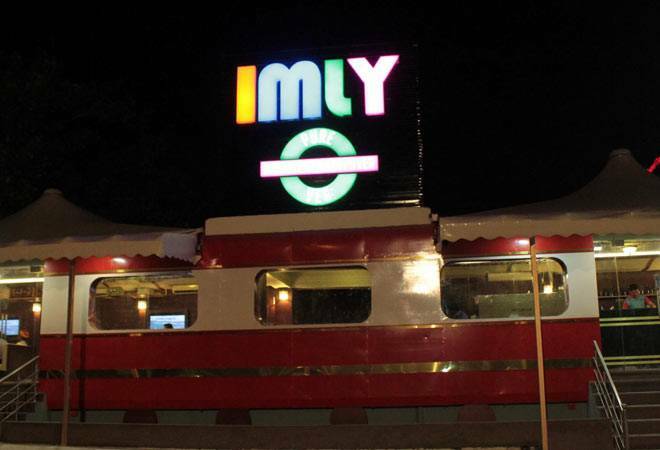 Catering to the chaat-loving heart of Central Delhi, the outlet of Imly in Rajendra Place is a crowd-puller thanks to its train-shaped exterior. Finally an eatery that offers street food without a twist. Catering to the chaat-loving heart of Central Delhi, the outlet of Imly in Rajendra Place is a crowd-puller thanks to its train-shaped exterior. Simulation occurs at many levels inside, with wide windows and TV screens strategically placed to give views from a speeding locomotive. Along its narrow length, the seats are topped by metal holders for luggage. Filled with metal luggage with a vintage hue, it completes the picture of a train journey. Claiming to represent nostalgia with flavours that are intrinsically chatpata (hence the name) Imly has Indian and Indianised Chinese cuisine on offer. The run-of-the-mill fare includes a lot of popular favourites from pau bhaji to sev puri and ragda pattice. 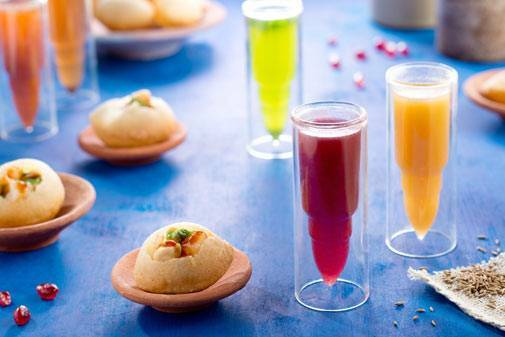 The golgappas come with two kinds of flavoured water, one of the sweeter and one on the saltier side. Both do justice to the seasoning of the stuffing. The balance of textures is just right too. The Chinese Bhel is a ketchup-doused affair with a strong taste of onions. Give it a miss. The cheese dosa is decadent and interesting-with its crisp shell juxtaposed against oozy cheese. Go for this one if you're not counting calories. The ginger snap rusk paired with a thick chutney stands out in the midst of familiar flavours. Have it with the kokum Banta Shikanji. More options include ginger and passion fruit, which are refreshing. The pau bhaji was unremarkable at best with a heavy-handed dose of cinnamon. Instead of letting the tempered smoothness of vegetables shine through, it yielded a cloying taste that did not go well with the pau. The Bombay Sev Puri was another downer with a too-sweet filling and not enough crunch. In the mains, the Indian part of the menu includes a lot of paneer and mushroom. The Chinese section is limited but includes a spin on desi favourites. We finished with the Rasmalai Tiramisu, a coffee-flavoured concoction that did justice to neither component. As an experience, Imly isn't bad but leaves one disoriented with its inconsistency. But, it holds its own as a family place where you can hog all you want.